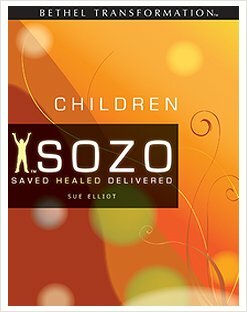 Sue Elliott creatively adapts the adult Sozo tools into simple vocabulary and imagery in order to easily minister to children. Children’s Sozo training equips sozo prayer ministers to do basic sozo with children. The two-day training teaches how to adapt the adult sozo tools in working with children of various ages, and provides information and guidelines to help attendees get started in this needed ministry. You will particularly learn how to adapt the key tools of Father Ladder & Four Doors with more appropriate imagery & vocabulary. You will also discover why you do not take down The Wall. This training provides an opportunity for role-playing and practice to help build the skills needed to begin helping children receive healing, freedom and connection to the Godhead.